Above: exterior view of the southern end of the inner ward at Knucklas from the ditch. The article below originally appeared in the Mid-Wales Journal, 5 Sept 1997. As part of a project to increase awareness of the historic site sponsored by the Menter Powys Community Tourism Project, On the Border historian Paul Remfry, author of Castles of Radnorshire, gave an informative talk on Knucklas Castle. 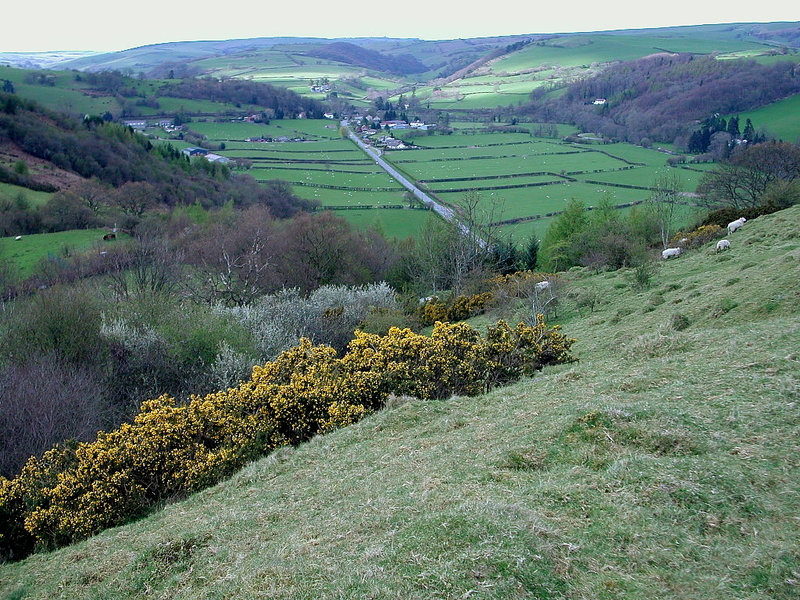 Mr. Remfry set the building of Knucklas Castle in the context of the struggles between the English and Welsh for control of Maeliennydd, an area which comprises much of the former county of Radnor. He found no reference to a castle at Knucklas before 1240. Llewelyn the Great conquered the area in 1215, but this was disputed by the Mortimers who had grown powerful in the area. Ralph Mortimer married Llewelyn's daughter and claimed back Knighton as part of his marriage settlement, but did not gain control of Maeliennydd until Llewelyn's death in 1240. 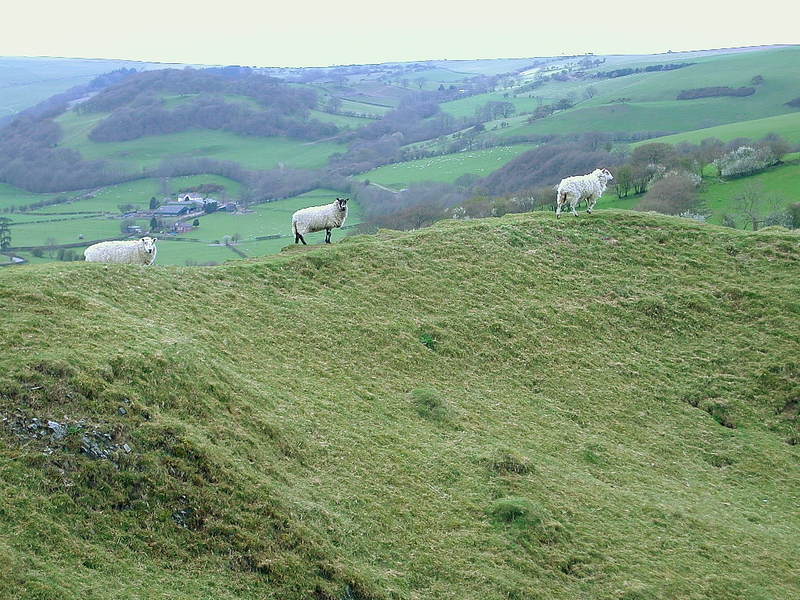 He thought that Bryn-y-Castell, just outside Knighton, was built by the Mortimers in 1215-1230 period as a visible indication of their claims to the town. Ralph Mortimer attempted to strengthen his grip on the area by building new castles at Cefn-llys and Knucklas. These were a departure from the traditional of castle building in the area in that they were both on the tops of significant natural hills instead of low, artificially constructed, mottes. As Ralph was out of the country at the time, the work was supervised by his 11-year-old son, Roger, (who was also Llewelyn's grandson). In 1246 Ralph Mortimer died and Maeliennydd was taken by the even indecisive King Henry III, but the following year Roger Mortimer, though still a minor, persuaded the King to let him have it back. 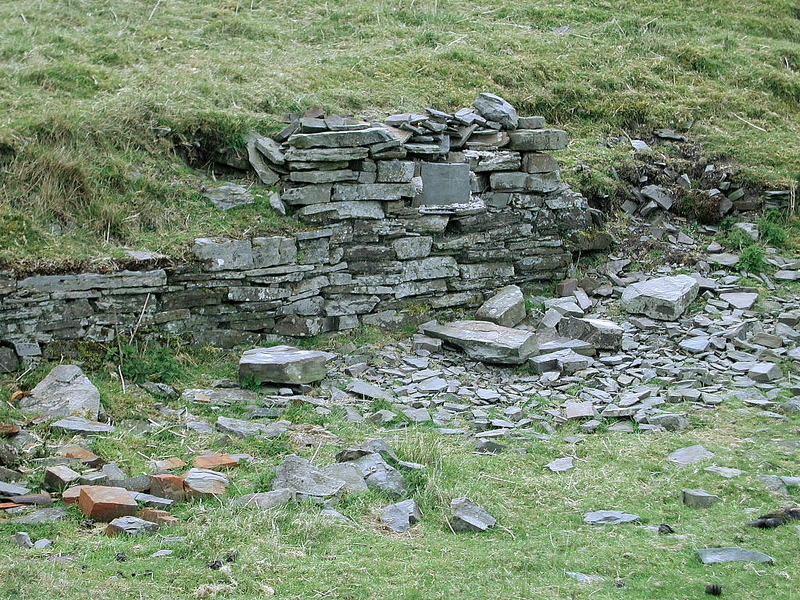 Mr. Remfry said that the available evidence suggested that Knucklas Castle was basically a square construction with substantial stone walls and a circular tower at each corner. Its purpose was to remind the more or less hostile Welsh population who was in charge. But it did not last long as an effective fortification; in 1260 it was by-passed when a Welsh army attacked Knighton, which fell on April 22 that year; but in 1262 Llewelyn II entered Mid Wales with a strong army, besieged Mortimer at Cefn-llys, and late in the year sent one of his generals, Owain ap Madoc, to attack Knucklas Castle with siege engines. The garrison took one look at the engines and surrendered, and the victorious Welsh rendered the fortifications indefensible. 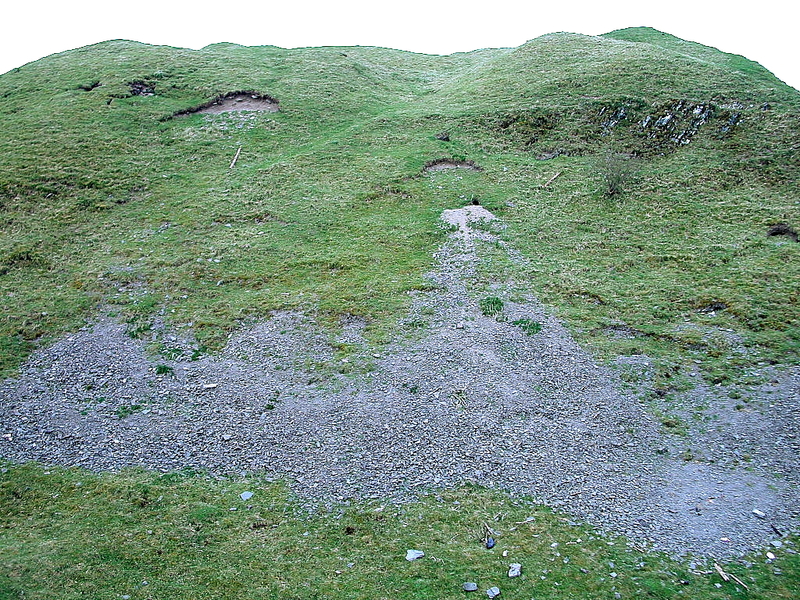 That was not quite the end of Knucklas Castle's brief history, for there is a mention that it was garrisoned in 1282 when Edmund Mortimer regained control, but this time the English had come to stay, and the need for such a fortification disappeared. The castle is last mentioned in contemporary records in 1316, and it is very unlikely it was anything more than a ruin by the time of Owain Glyndwr's revolt in 1402. 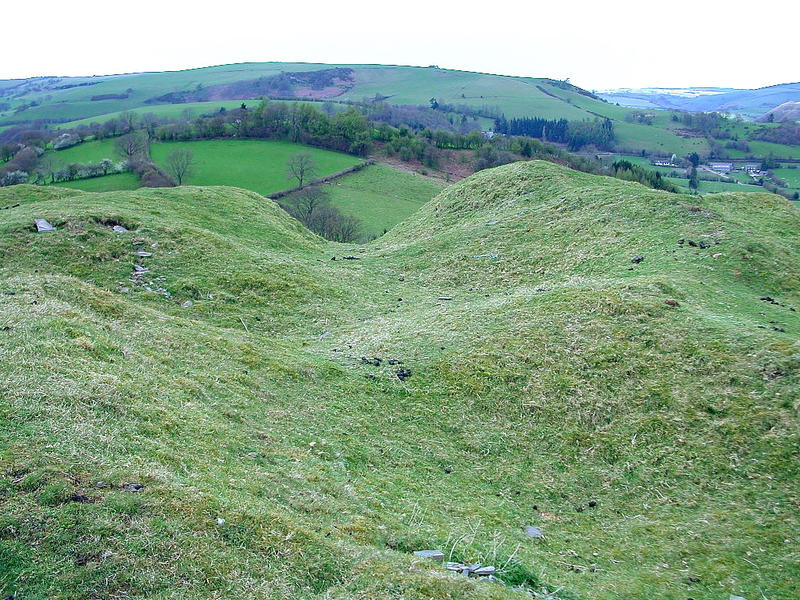 Asked about the famous story that Guinevere married Arthur at Knucklas, Mr. Remfry said there was no visible evidence of an Iron Age fortification at Knucklas, though it may have been occupied in the Dark Ages, something which could only be established by excavation. The project has been organised by Annette and Cena Pike with the help of Helen Minnice-Hughes of Menter Powys. 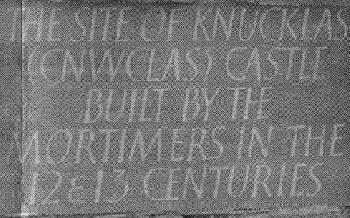 A plaque carved by Will and Lottie O'Leary of Knucklas, has been placed on the hill to mark the site of the castle together with a seat made from old oak timbers. Volunteers and members of the committee have cleared the pathways and fitted an oak gate of Brecon and Mid Wales design at the entrance to the site. All this has been done by the permission of the landowners, Mrs. G. and Mr. H. Evans. 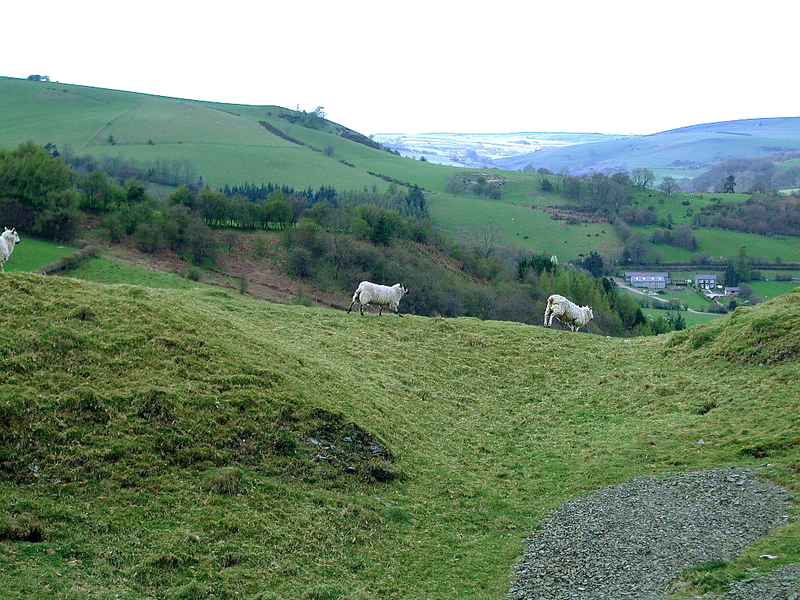 Below: views of the surrounding countryside from the summit of the castle.